I think it is time I come out of the closet and admit that I am a tea addict. 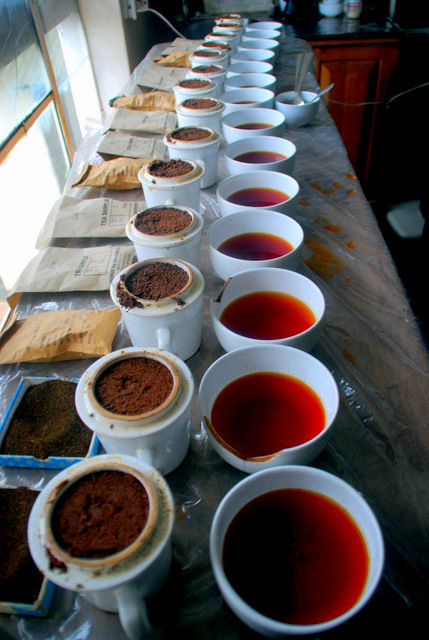 There I’ve said it – and I feel much better… I suppose there are worse things to be addicted to than tea, but when you live in a country that does tea differently to that of my native country (USA and UK respectively) this can be very challenging. I hope you noticed that I said ‘different’ – not better or worse; just different. I have honestly attempted to immerse myself in the alternative tea-drinking culture of the USA, but failed miserably. Back in the day when I switched sides of the Pond to pursue my scientific career I admit to being quite naive regarding the way Americans consumed tea. I bought Lipton’s tea from the grocery store, because that seemed to be the only brand on the shelves at that time. Unfortunately the packaging had more taste than the contents of the bags. If I asked for a cup of tea in a cafe or restaurant, the first mistake, sorry difference, is that the water is never boiling hot. How do you make a pot of hot tea when the water is tepid or lukewarm? You are setting yourself up to fail. Then there is the choice of tea. I am a PG Tips kind of man, which means a simple black tea. I don’t do herbal tea or change the type I drink based on the seasons, or my mood, or the phases of the moon. It’s PG Tips every morning, every afternoon, every evening and several times in between. Lastly the milk. Half-and-half is not milk; I’m not entirely sure what half-and-half actually is or that it originates from planet earth. I think it was dumped here aeons ago by aliens who were glad to rid of the stuff. Personally, I use 2% milk – just enough fat to give the tea body, without overpowering the inherent flavor. I also drink a mug rather than a cup simply to enjoy more of my liquid addiction. My tea drinking experience is rounded off with a sweet snack, but I fully admit this is an optional extra. I had so many disappointing cups of tea in my first few years in America that I eventually became very reclusive in my tea drinking habits. Now it is something I do in private, behind closed doors, where no one is watching or judging me. Live and let live I say. In public I drink hot chocolate. By and large I like the way America makes hot chocolate. I do have to persuade the preparers to actually boil the water or milk, but in the end we live in relative harmony with one another. Well I’m not quite where all that came from. Years and years of repression no doubt. It can be tough being British. 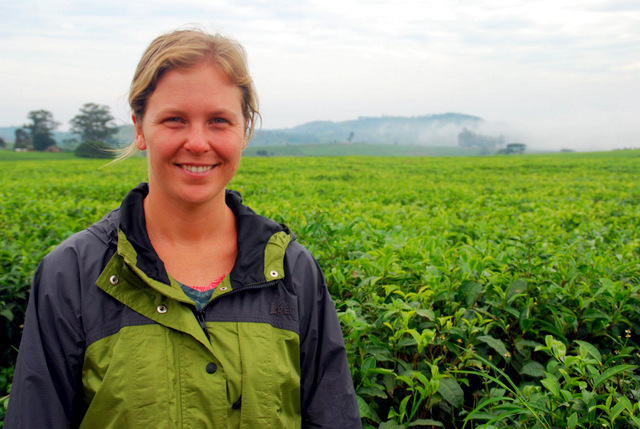 The reason we are even talking about tea is that for the first time on our Year of Wonder, Christi and I are visiting a tea plantation. Tea, much like meat, is something I buy in the grocery store without much thought as to how it get’s there. In fact, I particularly don’t want to know the gory details of what goes on in a slaughterhouse, but a tea plantation sounds soothing and relaxing and I don’t think the leaves are screaming as they are being plucked. 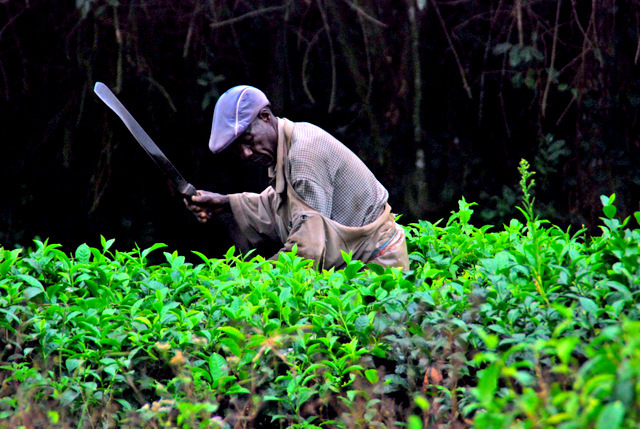 I also did not realize that many countries in East Africa, including Rwanda, Uganda, and Kenya produce some of the world’s best quality tea. Apparently it’s all to do with a favorable climate and soil conditions. 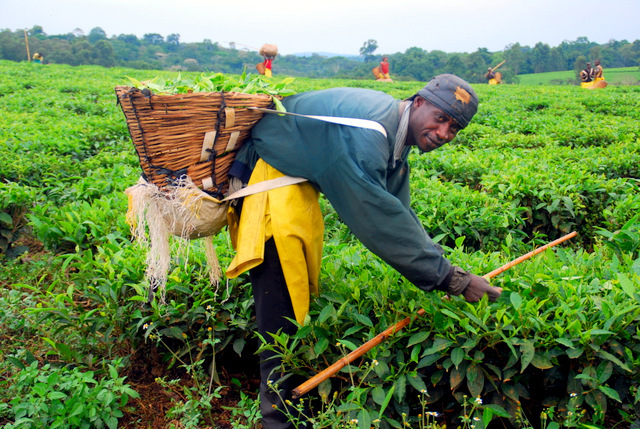 Uganda’s renaissance as a tea producer (after the dark days of Idi Amin) stems from investment from the Indian sub-continent and the Kijura Tea Company has been recently bought out by Jay Shree Tea. Christi and I tour a plantation and learn that not only are there tea pluckers (who snip off the top two leaves and a bud of the tea-plant), but pruners and weeders as well. 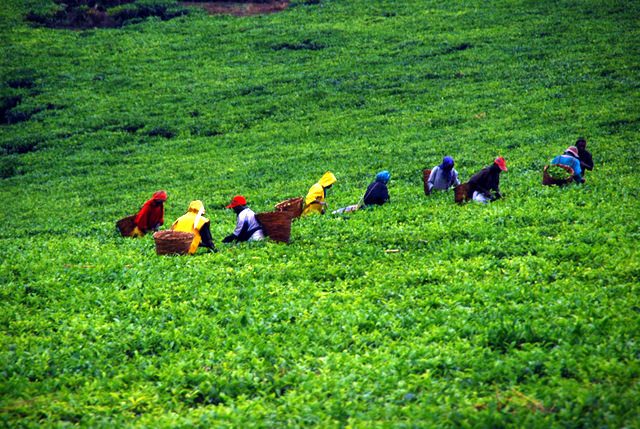 In Uganda the best tea pluckers earn about US$100 per month and it is back-breaking work. At the factory the leaves and buds then goes through a series of steps including withering (predominantly to remove excess water from the leaves), fermenting (highly important in the formation of many taste and aroma compounds, which give a tea its liquor colour, strength, and briskness), fixing and drying (to stop fermentation), and sieving. 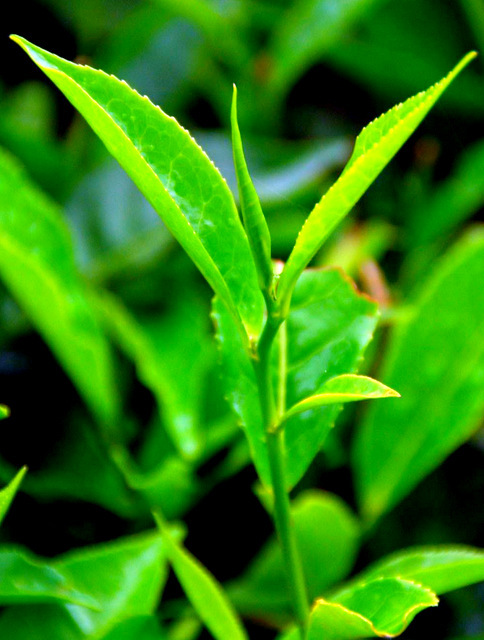 Apparently the size of the leaf also affects the taste and whether it is appropriate for use in tea bags (a lucrative market). 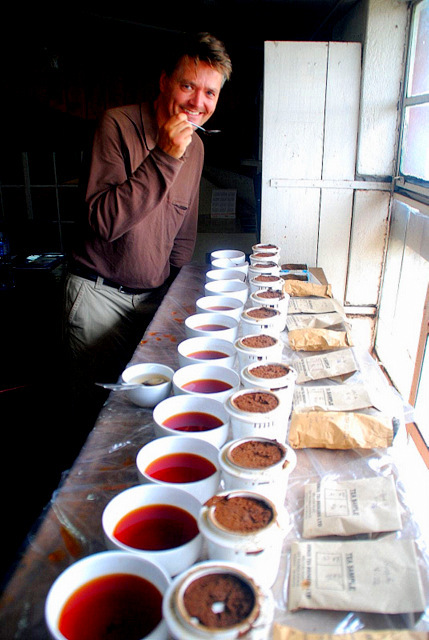 The highest grade tea at Kijura sells for US$2.50 per kilo. Naturally we get to taste different fractions of the leaves, which have different grades. Sadly my palette is poorly developed because I can’t tell the dregs from the top quality fractions. But at least I got a free cup of tea and I have been craving a decent cup of tea for 360 days. Blog post by Roderick Phillips, author of Weary Heart – a gut-wrenching tale of love and test tubes.